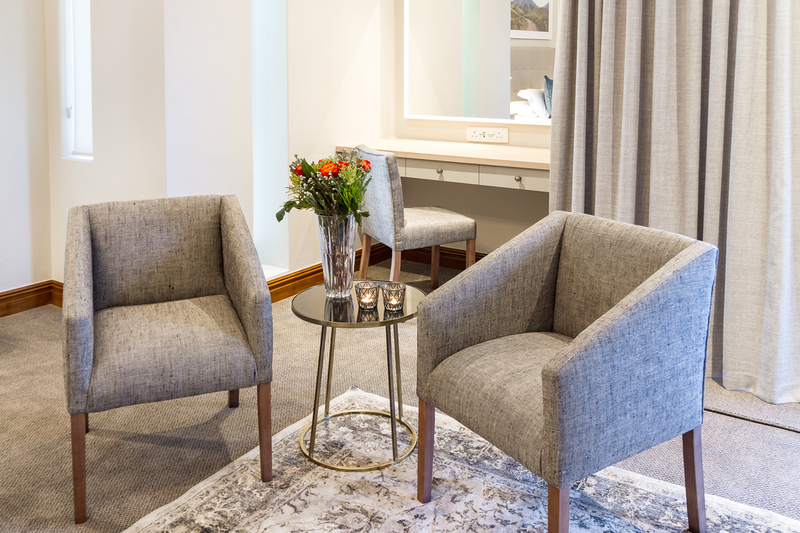 Nestled in Cape Town’s sophisticated northern suburb of Durbanville, Evertsdal Guest House is a home away from home for visitors. This luxurious guesthouse which opened its doors in 2002, comprises six houses with 32 rooms in total. The Residence is the newest addition to the collection. 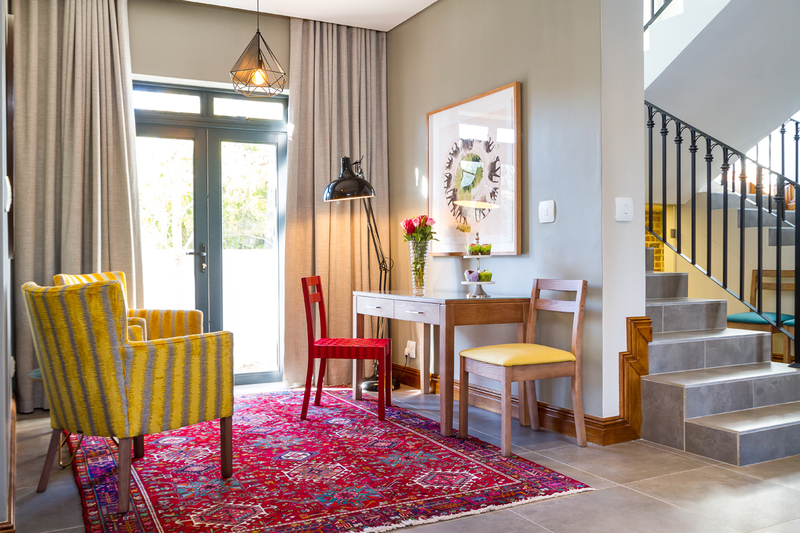 This house was recently awarded its five star grading by the Tourism Grading council of South Africa. It comprises five en-suite guest rooms, a state of the art conference room, a pool and beautifully manicured gardens. 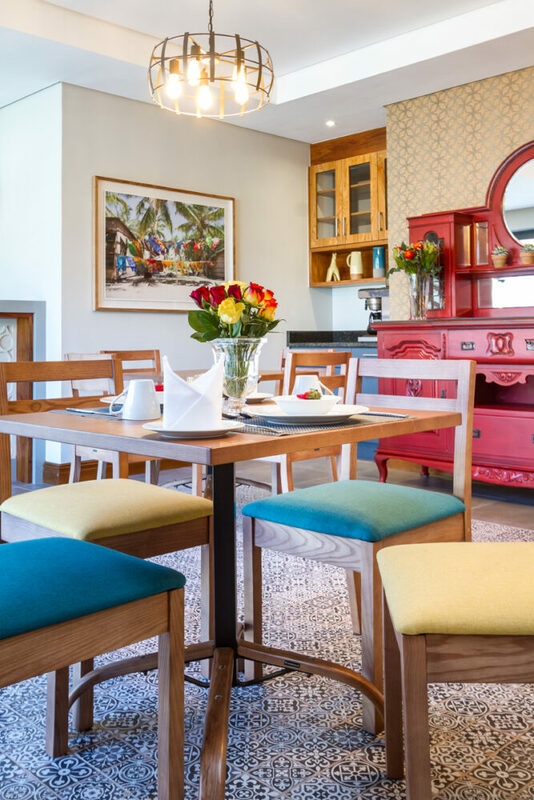 Owner, Janet Du Plessis, describes the guest house as having a “classic thread”. The upstairs bedrooms have been decorated in a serene palette of neutrals to create a calming and relaxing atmosphere. The living area downstairs is made up of a kitchen, trendy bar area and cosy fireplace, the perfect spot to relax and unwind on a cold winter’s evening. Painted antique furniture can be seen throughout the various rooms. Evertsdal complemented these pieces by introducing several Woodbender designs to the mix. 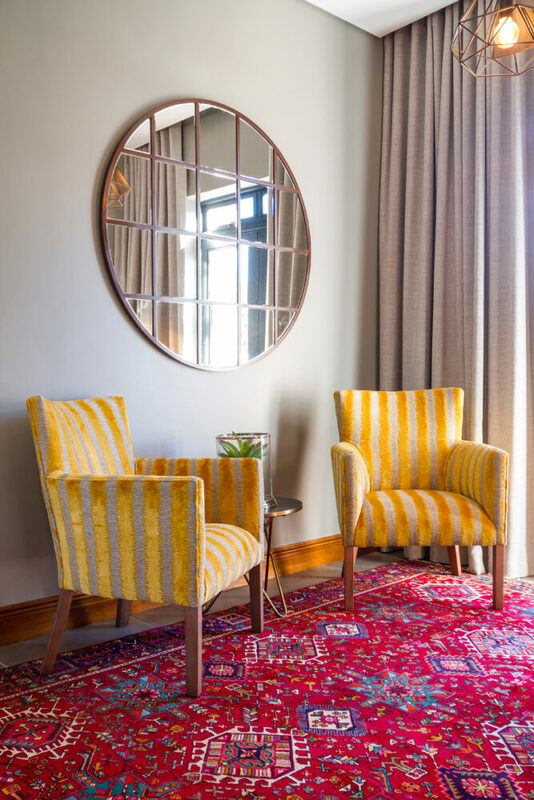 The combination of our Arabella lowback in a gold and grey stripe upholstery and our Karoo chair and Karoo nylon strapping chair in gold and red, add an eclectic yet chic feel to one of the rooms. A mix of teal and gold upholstered Karoo chairs can also be seen in the dining area. While Evertsdal’s main trade is corporate during the week, holidays and weekends often see families checking in and enjoying the pool area and nearby wine route.